These two products are healthy replacements for soda that you can find in your local healthfood store. 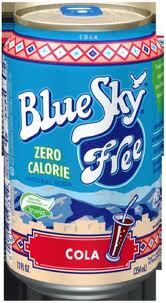 Blue Sky Free usually costs around $.75 per can which is very reasonable. I’ve had a number of clients switch to this product to curb their soda habit. 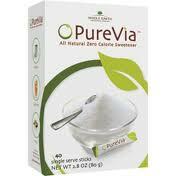 Stevia is a good replacement to the artificial sweeteners. 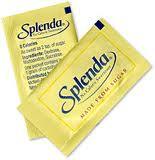 One example of an artificial sweetener is Splenda. Splenda “sucralose” is made from sugar in a patented 5 step process, it substitutes 3 atoms of chlorine for 3 hydrogen-oxygen, converting sugar into a fructo-galactose molecule. This molecule does not occur in nature. And further inquire about products that can be excellent, yummy replacement options!